Presenting this week the 157th blog post of the ‘Hot Tracks’ series with a selection of songs by Michel Montecrossa and Mirakali. Presenting this week the 156th blog post of the ‘Hot Tracks’ series with a selection of songs by Michel Montecrossa and Mirakali. Presenting this week the 155th blog post of the ‘Hot Tracks’ series with a selection of songs by Michel Montecrossa and Mirakali mostly recorded live at the Mirapuri World Peace Festival. Presenting this week the 154th blog post of the ‘Hot Tracks’ series with a selection of songs by Michel Montecrossa and Mirakali mostly recorded live at the Mirapuri World Peace Festival. 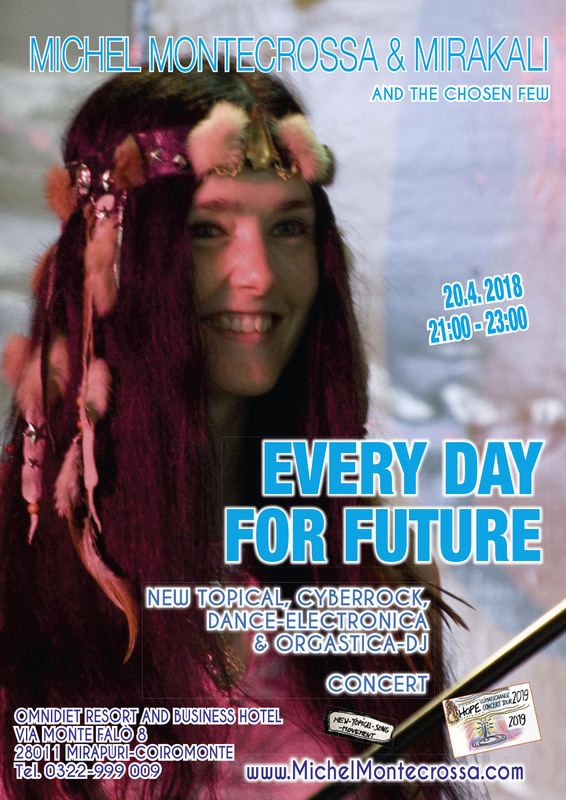 Presenting this week the 153rd blog post of the ‘Hot Tracks’ series with a selection of songs by Michel Montecrossa and Mirakali mostly recorded live at the Mirapuri World Peace Festival. Presenting this week the 151st blog post of the ‘Hot Tracks’ series with a selection of songs by Michel Montecrossa and Mirakali. Presenting this week the 150th blog post of the ‘Hot Tracks’ series with a selection of songs by Michel Montecrossa and Mirakali. Presenting this week the 149th blog post of the ‘Hot Tracks’ series with a selection of songs by Michel Montecrossa and Mirakali.